Come and join us for a relaxing cruise down the French Broad River. 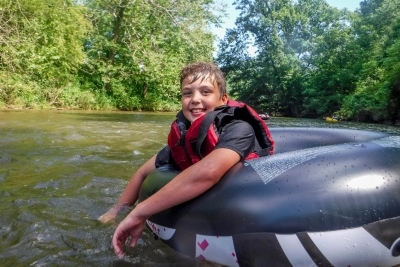 We take half day tubing trips on Section 0 of the French Broad. This trip gives the campers time to kick their feet back and chill in the sunshine. Gotta be careful not to fall in, not everyone is used to this refreshing water. At the end of the session, we take the kids on a tube and fish overnight. 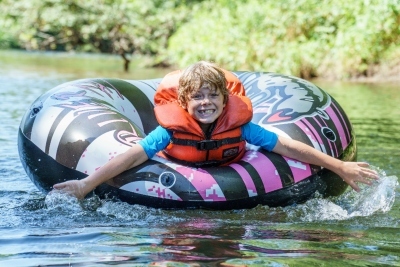 This is when the campers can venture out to a more advanced river and see the big rapids of the Tuckasegee river. Followed by a nice chill day of fishing in some of the most famous fly fishing rivers in the country.